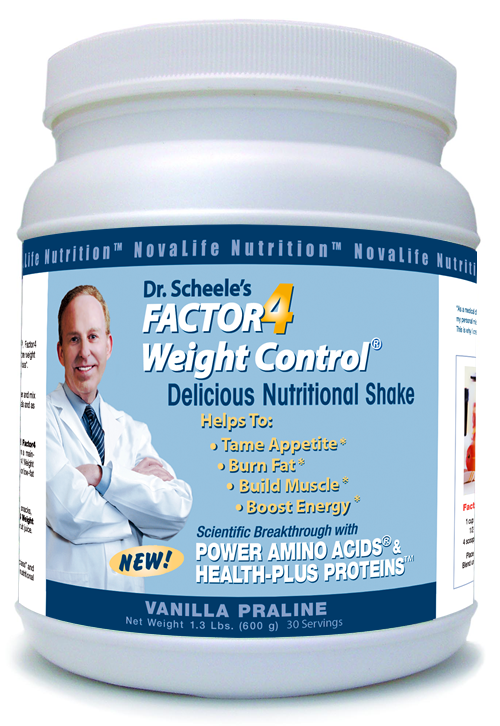 NovaLife has recently analyzed the first 2500 customers who have taken Factor4 Weight Control® to lose weight. Eighty percent of these customers have lost significant amounts of weight and some have enjoyed more than 100 pounds of weight-loss health. However, approximately 10 to 15% of customers continue to experience difficulty in losing weight, particularly in those who desire to lose less than 10 to 15 pounds. So what have we learned about ensuring success with Factor4 and weight-loss health? We discovered in our analysis that customers who desire to lose smaller amounts of weight have often assumed that they should take smaller amounts of Factor4 on a daily basis. 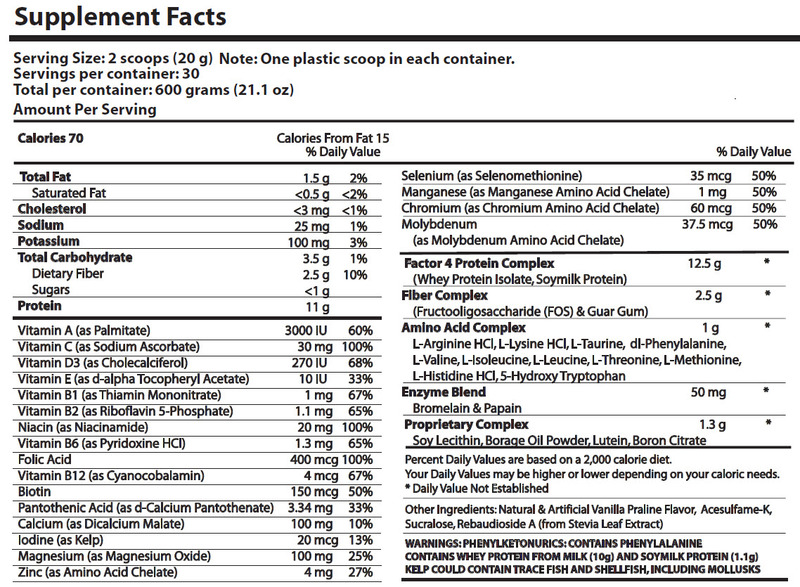 Most of the “failures” we found were individuals who took Factor4 once daily and sometimes only one scoop per day. We have known for some time now that F4 taken once daily, while increasing quality of life and energy levels, does not result in weight loss success. 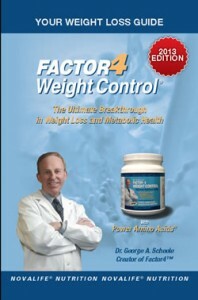 So what is necessary to achieve optimal weight loss with Factor4 Weight Control®? Factor4 works best when daily food intake is reduced by one-half to two-thirds. When Factor4 is taken multiple times daily, it is easy to achieve this reduction in caloric intake, without hunger, because the Power Amino Acids® in F4 act as strong satiety agents that reduce appetite. At the same time, Factor4 supplies the minimal essential ingredients (amino acids and protein) in order to balance metabolic pathways to burn fat and maintain health during reduced food consumption. This double benefit – reducing food consumption while maintaining metabolic health – is the Factor4 secret to achieving weight loss health. So our directions for achieving significant weight loss at both ends of the spectrum of weight loss challenges (small reductions as well as large reductions in weight) include taking Factor4 multiple times during the day so that food consumption may be reduced to levels that stimulate fat metabolism. Take Factor4 smoothies as meal replacements at least once daily and better twice daily. Meal replacements are best conducted at breakfast and/or lunch. If you are still working it is best to have one blender bottle at home and one at work to follow this regimen. Dinner should not be replaced but should be sensible from a healthy diet standpoint, which means two vegetables and a protein source (fish or chicken with red beef consumed only rarely). In addition, bread and desserts should be waived during the weight loss period. All snacks should be avoided during the evening hours after dinner. Specifically Factor4 shakes should be taken to avoid snacks while watching TV in the evening or before going to bed. Since F4 also helps people sleep, it is ideal for controlling “munchies” that develop during the evening hours. The table on page 6 of our Weight loss Guide further emphasizes that the number of shakes and smoothies must be increased to reduce daily caloric intake. A rich diversity of delicious Factor4 shake and smoothie recipes may be reviewed here on our Factor4 blog. 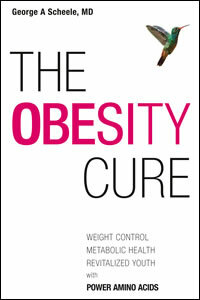 The time-honored principles of healthy foods are reviewed in Chapter 13 of Dr. Scheele’s recent book, The Obesity Cure. 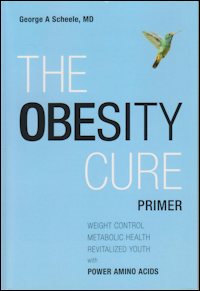 In Summary the secret to achieving weight-loss health is to take sufficient Factor4 to reduce food intake by one-half or two-thirds to activate metabolic pathways to burn fat. Naturally, once excess weight has been removed one can begin to change the regimen of Factor4 to a maintenance routine, which is normally 2 Factor4 shakes or smoothies daily with food consumption cautiously increased to levels that maintain an individual’s optimal weight. If 80% of our customers can achieve their desired weight loss goals, we believe that all of our customers can do so as well. Should you have any difficulty in achieving your weight-loss goals, please know that we are here to help you in your efforts. Please feel free to call The Good Doctor at T: 844-FACTOR4.